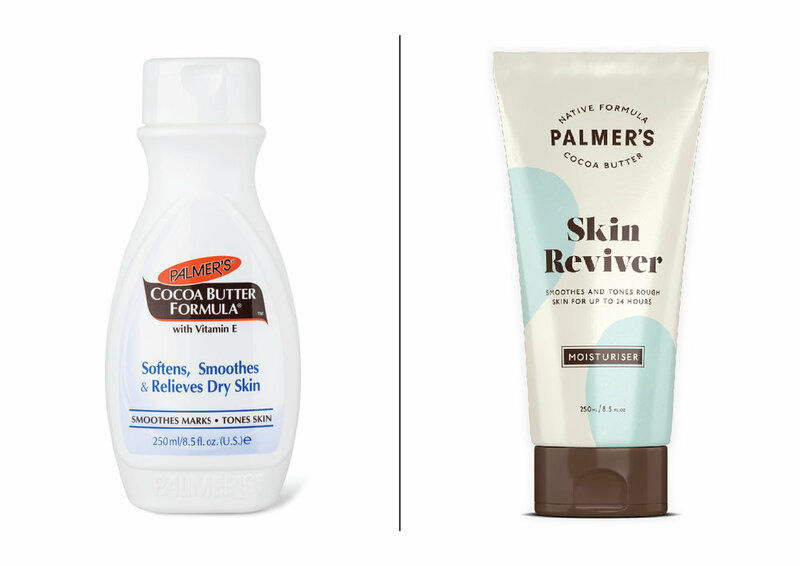 The current Palmer’s brand does not reflect its status as a market leader. The pack is cluttered, with elements that clash together, giving no true sense of hierarchy. The typemark is somewhat dated and when paired with an orange and brown colour palette has a retro sixties feel that is not in keeping with a progressive cosmetics market. There is also an opportunity to bring out the femininity of the product (a revised design would also be considered for the ‘men’ range), something which the current illustrations fail to do. The main challenge was to retain the equity of the Palmer’s logo (#1 in the world), whilst modernising the mark. The dated ‘barrel’ surrounding the logo was replaced with curved type to create a similar proportion to the existing mark, referencing the shape, without having to retain the clunky element on packaging. The font was retained and simplified for the brand name, now slightly condensed it creates space on pack without losing distinction. The palette was also modernised, the orange is muted to a soft off white, whilst the dominant brown is retained. Using this softer palette allows us to bring in more colours to differentiate products, pastel blues, greens and purples are employed to create a more feminine feel. The packaging has been simplified to communicate benefit and use in a distinctive manner with a soft and feminine secondary typeface. The barrel now forms a secondary pattern element that can be scattered across packaging in reference to cocoa pods or coconut shells combined with a natural earthy texture.